-Hang it on the outlet with a lot cleaner and tidier look. -Great alternative to others that require drilling holes. -Save space of your counter top of kitchen, bathroom and bedroom. -Move your Dots to more convenient locations without damaging the wall. -Made of Nylon material, very tough and durable to protect your speaker from dirt, scratch, dust, minor bumps and drops. 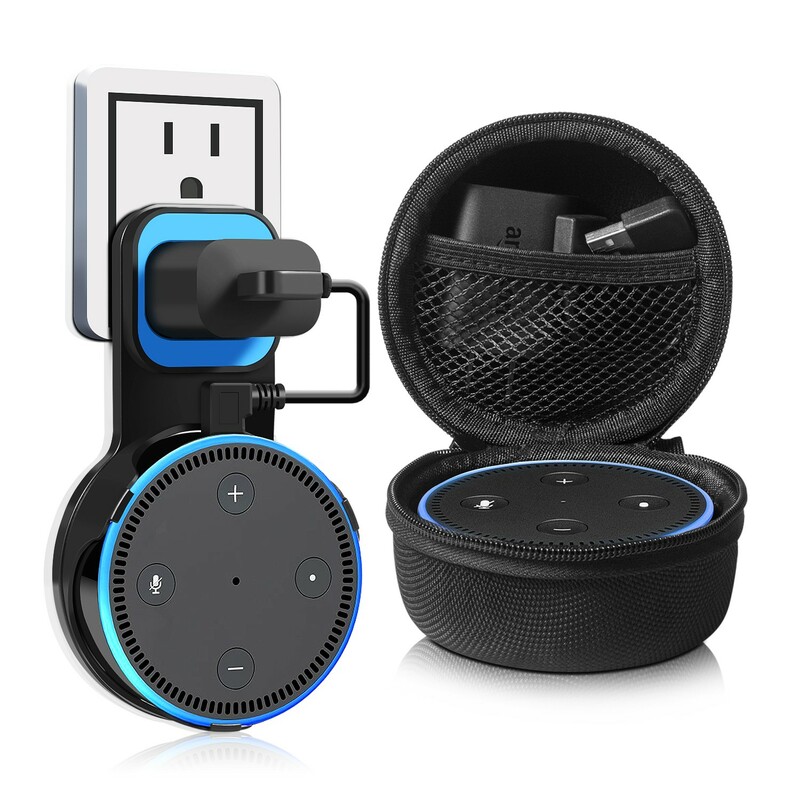 -Small and compact size, easy to hold in hand, simply zip it up and toss it into your backpack or luggage for travel or outdoor sports. -Perfect for travelling, hiking or cycling.